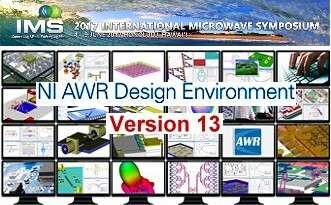 NI (formerly AWR Corporation) continues to proudly sponsor this year's 2017 IEEE International Microwave Symposium (IMS) thirteenth annual High-Efficiency Power Amplifier Student Design Competition (HEPA-SDC). The competition encourages student teams from around the world to design and construct a power amplifier (PA) and bring it to IMS in Honolulu, Hawaii, where industry experts will evaluate the performance of all entered PAs on Tuesday, June 6, 2017. For more information and to enter the HEPA competition, visit ims2017.org/technical-program/competitions/student-design. The deadline for proposal submissions is April 3, 2017.